Tatem Elementary School will be having some new visitors walking around the hallways. Four furry-footed, canine companions — Ellie, Henry, Jack and Rusty — will come with wagging tails and panting smiles to make Tatem students feel safe. Tatem is partnering with the non-profit The Tri-State Canine Response Team to provide support in the event of an emergency as well as individual needs. The four canine first responder dogs will become ambassadors to the school and visit on a regular basis to provide feelings of comfort and safety to students. 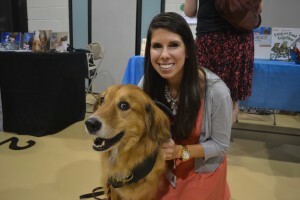 “I am so excited about this partnership because I think the dogs will provide a valuable service to our school. When students feel safe and cared for, they are better able to learn. The ambassador team will increase students’ feeling of safety and security at Tatem,” Principal Karen Schultz said. The Tri-State Canine Response Team is a non-profit organization serving the tri-state area that is dedicated to providing certified and trained handler/dog teams for animal assisted activities, animal assisted therapy and animal assisted crisis response teams to children, families, neighborhoods, communities and first responders providing emotional support, aid and comfort to victims of disaster, catastrophe or violence fostering resilience and self-efficacy. 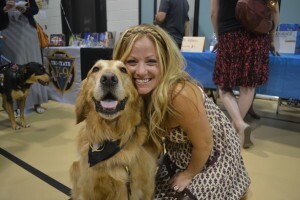 Janice Campbell and Andrea Hering, co-founders of The Tri-State Canine Response Team, collaborated with Schultz last spring, when the fourth graders at Tatem read a story about how animals can help people, and the school invited in the therapy dogs. When Campbell told Schultz the dogs were recently certified as first responders, she contacted Tracy Matozzo, head of the Haddonfield schools’ crisis response team, and they started working with the Tri-State Canine Response Team as part of district’s crisis plan. In the event of an emergency, the dogs would be called to respond, much like more traditional emergency personnel. 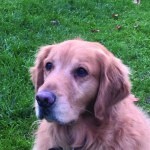 The dogs could also be called in to offer support and comfort for life events that affect individual students. “It is a well-known, and scientifically proven, fact that interaction with a gentle, friendly pet has significant benefits on physical and mental health. Pet therapy can lower blood pressure, decrease feelings of isolation, encourage communication, lower anxiety and increase socialization. Programs that allow students to read to dogs show improvements in literacy skills. When working with dogs, students feel less self-conscious and less stressed, which boosts their confidence and helps them to focus better,” Schultz said in an e-blast about the dogs. This is the first time the Tri-State Canine Response Team and a school have established a relationship. The plans are for the four dogs to work with the school counselors, listen to young readers, visit classrooms and work to get to know the students. Developing strong bonds during good times will help them to be effective during a crisis, should the need ever arise. Schultz said the school has plans for students who are afraid or allergic to dogs, so everyone feels comfortable with Ellie, Henry, Jack and Rusty. 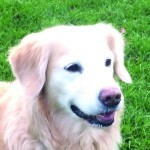 For now, the ambassador dogs will be at Tatem for the school year. The Tri-State Canine Response Team plans to establish a relationship with all Haddonfield schools, and in the future maybe other school districts in the area. 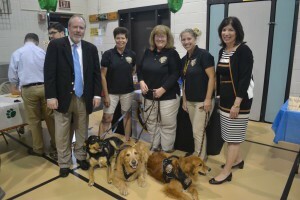 “We are hoping this is the beginning of a longstanding relationship for Tatem and our ambassador dogs,” Schultz said. The Tri-State Canine Response Team is looking for sponsors for their dogs, as some of them still need further training with other levels of certification. 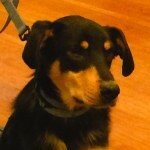 To learn more about sponsoring a dog, visit www.tri-statecanineresponse.org.